Digital marketing is what helps people discover your website. Your time and resources are precious, so it’s important to focus on the digital marketing channels that give you the most bang for your budget. *The most engagement comes from organic search. Social has the highest bounce rate. 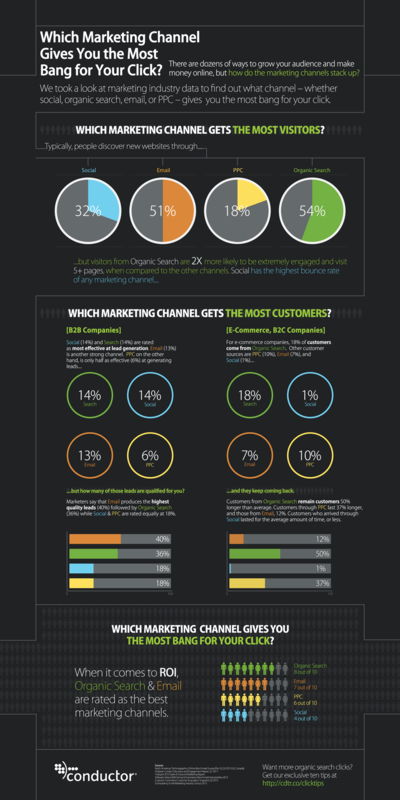 Overall, Organic Search & Email are the best marketing channels in terms of ROI. Kite Media specializes in SEO, Email Marketing, PPC, Social Media Marketing, and more! Learn more about all the services we offer. Also, subscribe to our monthly newsletter for the latest digital marketing news.